Paying cash for a new car provides a lot of financial benefits to the buyer: no monthly payments, no chance of late fees, no interest paid and you are never upside-down in your car. The dealership doesn't have such a positive view of cash buyers, though. Of course the dealer wants to sell you a car, but he also wants to sell financing, so you need to be ready for some serious negotiating to get the best possible price. With the sale of a new car, the dealership has several sources of profit. The front-end profit is the price you pay to the dealer for the car minus the cost of the vehicle. The lower the price you can negotiate, the less profit the dealer earns. Back-end profits come from marking up rates on car loans and selling additional services such as extended warranties and gap insurance. Often a dealer will offer a great price on the front end if the sales manager believes there are good profits to be earned on the back end. One strategy to get the best cash price for the car is to go along with the sales process keeping open the possibility that you will finance your purchase through the dealership. Negotiate your best deal for price and let the dealer know you want to see what type of financing is available. When you have settled on a price and reviewed the finance options, let your salesman know that you prefer to pay cash for the car. To work this strategy, you must let the dealer run a credit report so the finance department can give you a rate and payment quote. Be honest up front that you plan to pay cash. This is your only strategy if you do not want to complete a credit application. The benefit of this strategy is that you should get to the dealer's best price offer on the car pretty quickly. Your biggest strength is that your are a buyer who is willing and can buy a car today. That means a lot in the dealership. Unless you want to buy a hot, hard-to-get model, a dealer is almost always willing to let a car go at a small profit. 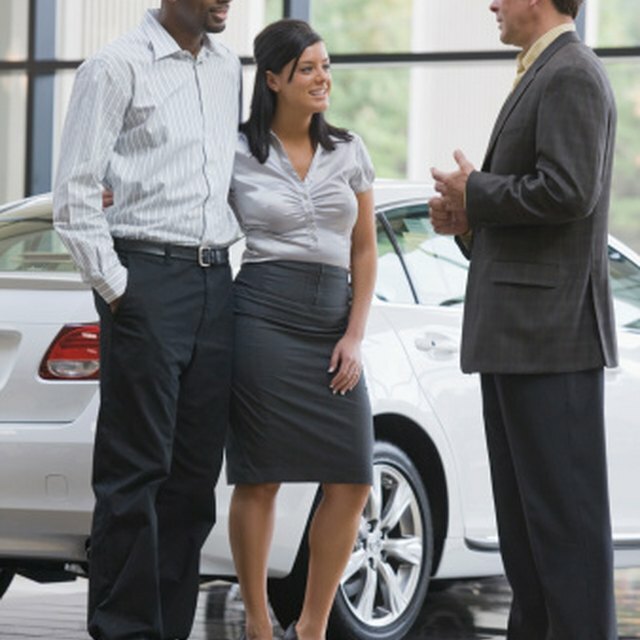 There are other benefits to the dealer when new cars are sold besides the profit from each sale. Selling a car reduces the dealer's financing costs and might help meet quotas on certain models so the dealer can get a bigger allocation of "hot" models. As a cash buyer, you, in some respects, have less negotiating power than a financing buyer. To even the odds, you must do your price homework on the model of car you want to buy. You should have a good idea about the lowest price the dealer will accept for that particular model. You can turn your car purchase into a quick in-and-out deal if you offer a small profit and show a willingness to leave if your price is not accepted. Negotiating from below the invoice price of the car is not a tactic that will get you far. Start with a small profit for the dealer and hold your ground.